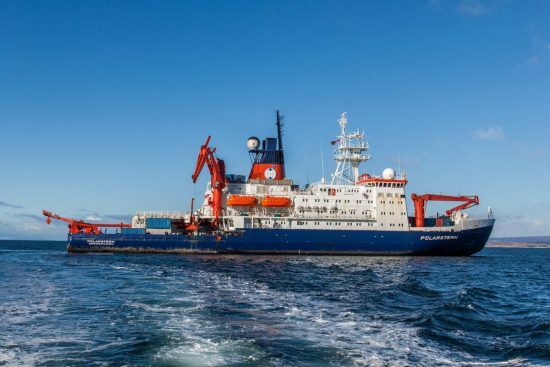 The small, swimming crustacean krill and the gelatinous salps are the focus of an expedition of Oldenburg oceanographers with the research vessel "Polarstern" to the Southern Ocean. Under the direction of the marine biologist Prof. Dr. med. Bettina Meyer, Institute for Chemistry and Biology of the Sea University of Oldenburg and Alfred Wegener Institute Helmholtz Center for Polar and Marine Research, the scientists started to travel on March 17, 2018 from Punta Arenas (Chile) towards the Antarctic Peninsula. 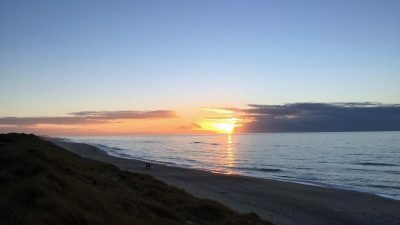 The researchers want to investigate how climate change affects the stocks of krill and salps in the Atlantic part of the Southern Ocean. The results should help support sustainable krill fisheries in the region. The expedition ends on May 6, 2018 - also in Punta Arenas. 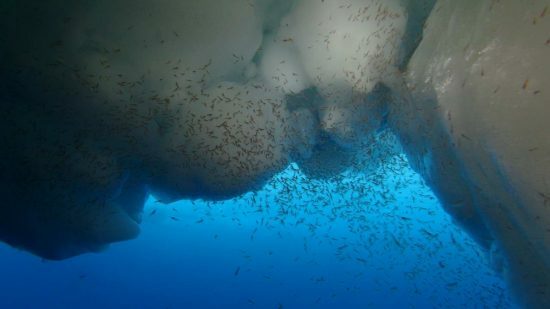 The only a few centimetres large Antarctic krill (Euphausia superba) is an important part of the so-called zooplankton - these are with the currents driving small animals. It plays a central role in the food web of the Antarctic: Many large predators such as whales, seals or penguins feed on it. Also belonging to the tunicates gelatinous salps, mainly Salpa thompsoni, belong to the Antarctic zooplankton. Unlike the krill, however, the barrel-shaped animals prefer warmer water with less ice cover. While the krill populations have declined in recent years, the salvia stocks have increased. 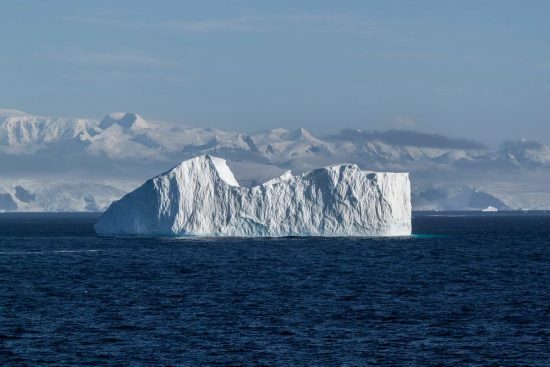 One cause of this, researchers suggest, may be the dwindling sea ice in the region as a result of long-term warming. But the clues are still not clear. Researchers will take samples and take pictures and film during the expedition to collect new data on the krill and the ointments. "The expedition will provide important data for various research projects dealing with the biology of krill and salps and the ecological interactions," explains Meyer. 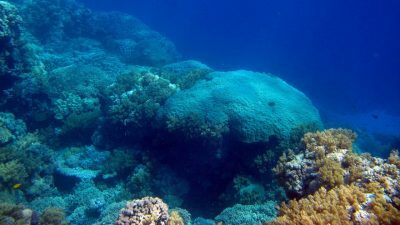 As part of the project "PEKRIS", the scientists are investigating how krill and salps can adapt to rising water temperatures and whether the organisms differ in their adaptability. "So far, there are only a few studies, especially with regard to the salps," said Meyer. 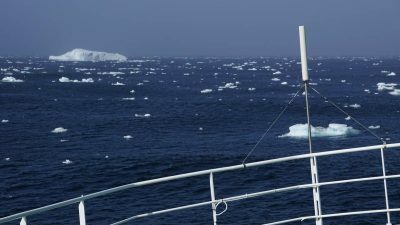 The project "POSER" is intended to provide further information: Here, the researchers are investigating how the increase in temperature influences the stocks of krill in comparison to the stocks of the salps and how a change of the respective stocks affects the entire plankton community and the carbon flow. 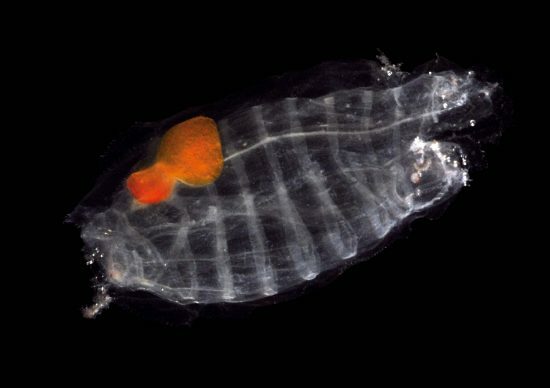 The project "KrillBIS" aims to capture the stocks of krill and salps north of the Antarctic Peninsula and their fluctuations over the long term. 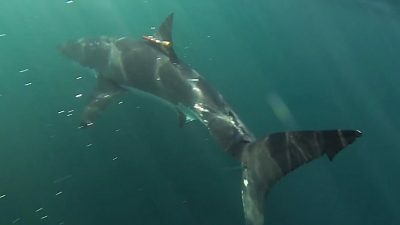 The results of all projects will feed into a mathematical model that scientists use to predict how krill populations respond to different climate scenarios. Their work on board documented the researchers in the Helmholtz-Polarstern-Blog.